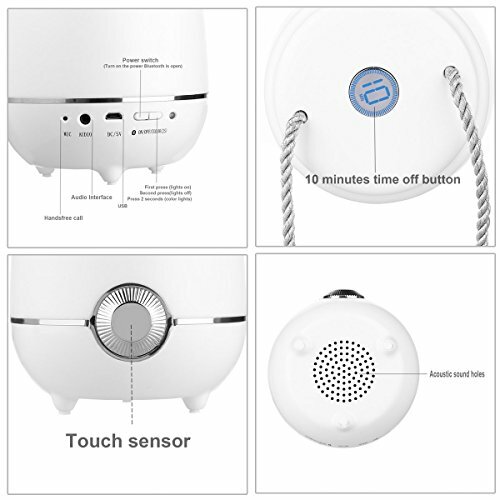 Home Tools and Home Improvement Lighting and Ceiling Fans Lamps and Shades Lamp Sets KevenAnna Music Portable Lights Multifunctional Night Light Wireless Bluetooth Speaker Handsfree Touch Detective LED Mood Light, Hands-Free Speakerphone. 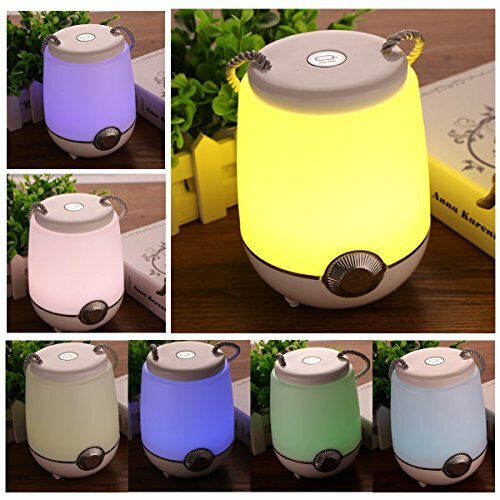 KevenAnna Music Portable Lights Multifunctional Night Light Wireless Bluetooth Speaker Handsfree Touch Detective LED Mood Light, Hands-Free Speakerphone. 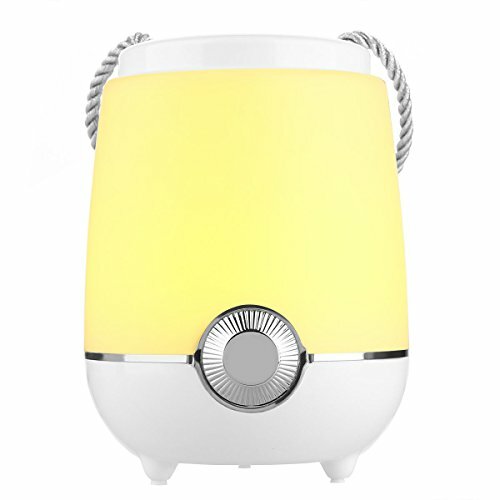 Built-in samrt touch induction lamp with Backlit 3 dimming levels. With a handle, can be hung up or carried by hand. Apply to camping, reading or romantic dinner. The party necessity, also as a fashionable gift or decoration, Share the young and relaxing lifestyle with the important person. Every Nightstand Needs It – a clock, also an alarm, A night lamp that can easily turn on by just a slightly tap on the top; A sleeping mode which is designed to let you get into sleep with soft music and would turn off automatically after 10 min. No more mussy stuff needed on nightstands. 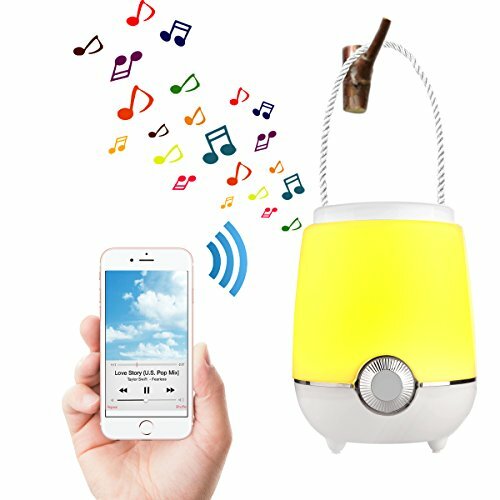 1.KevenAnna portable music light with Bluetooth,audio modes. 3.The lgith source color :Warm white and colorful. 4.Touch comes with adjustable lighting brightness. 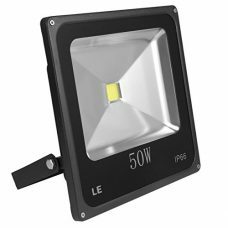 5.The portable lights convenient and handy protable light soft and warm, family life is an essential. 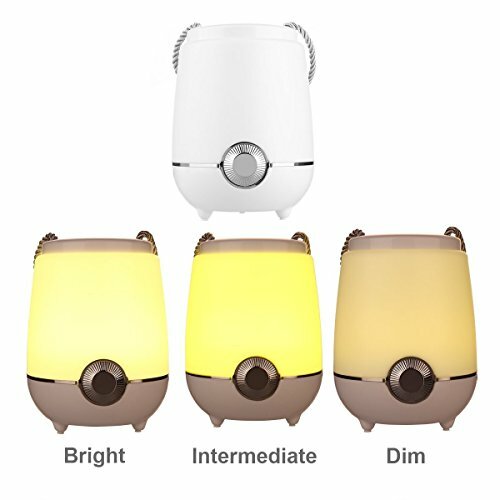 Good for bedroom as a night light or music lamp, when sleeping, the warm and soft lighting protect your eyes from harms.